Moving to Seoul - Compare International Movers & Save up to 70% ! Don’t waste time searching blindly for companies that can help you with your international move to Seoul. With Intlmovers, all the work is done for you. All you have to do is select where you are moving from and to using the easy drop down menu below, complete a few basic details about your move and that is all. Up to six international movers receive your quote request automatically and they respond directly to you. Intlmovers saves you time, as well as money! When you compare quotes, it gives you an opportunity to check that you are receiving the best value for your international moving budget. It is always recommended that you carefully compare the contents of the quote, rather than just the price at the bottom. By comparing all the included services, you can ensure that you are getting the best value for your international move, rather than just the best price. There is just a few minutes of your time needed to submit a request, and the service is absolutely cost free, so there is no reason not to compare quotes using Intlmovers. The costs of an international move to Seoul can vary considerably, so make sure you do a little bit of research beforehand so you know what some of your options are. The international moving companies have years of experience with moves to Seoul. Preparing for your international move to Seoul is an exciting, but perhaps a little stressful, time for you. It is always handy to have a little bit of information at your fingertips to prepare you for your arrival in your new country. Seoul is located on the Han River, and is the capital and largest city of South Korea. The population of the city itself is nearly 10 million people, although the entire metropolitan area of Seoul actually has over 23.5 million residents. The area of Seoul covers just 605 square kilometers. Seoul is split across 25 divisions that are used for administration. Each administrative ”gu” has its own government, and each gu is made up of a number of neighborhood areas. There are 522 ”dong” neighborhoods in Seoul. Some Nationals are allowed visa-free entry for tourism purposes for a maximum of 30 days. Check korea4expts.com has more information regarding visas for Korea. In some instances, the visa-free policy is only applicable to nationals with Diplomatic passports. You should allow at least five working days for visa processing. You should always check with your local South Korean embassy to confirm the exact visa requirements for your personal travel obligations when travelling to Seoul. The level of experience of the international moving companies that promote their services with Intlmovers is second to none. They have years of trusted and reliable experience in commercial and domestic relocations. If you are making an international move to Seoul, you can relax in the knowledge that you are working with diligent professionals in the shipping and logistics industry. You know that using Intlmovers is completely cost free. 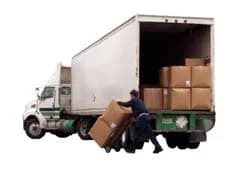 It is a quick and easy way to conveniently compare the different prices and services on offer from a number of international moving companies in a single request. The best part of requesting quotes with Intlmovers is that you are under no obligation to accept any of the quotes that you receive back. You should only accept a quote if it meets your needs for your move to Seoul. Intlmovers is completely free of both cost and free of obligation!